appetizers, perhaps just without the "stuff" (or what we call, "ingredients") kids have likely not learned to appreciate yet. Kid-Friendly appetizers and snacks can include anything from bread appetizers to meatballs to chicken nuggets or chicken strips, and certainly can include dipping sauces! One of the things kids love about appetizers is the fact that they come in petite sizes - almost as though they were designed specifically for kids. Appetizers can be a great way to include some vegetables or other healthy ingredients your kids would otherwise prefer to avoid, such as Parmesan Broccoli Balls, while watching them actually enjoying every bite! Kid appetizers are great for social events that include the young as well as the young at heart! Norwegian Meatballs (also referred to as Kjøttboller in Norwegian cuisine) feature browned meatballs that slow-cook in a beef broth. When the meatballs are ready to serve, heavy cream is combined with the broth, creating a creamy, savory sauce. This sauce is briefly heated until thickened, then poured over the meatballs, which are then topped with chopped fresh parsley. This dish is great served as appetizers or a main course. Olive Cheese Balls is a fun appetizer recipe that is easy to prepare and cooks in just 15 minutes. The dough is made with a simple mixture of cheddar cheese, Parmesan cheese, butter and flour, and offers a wonderful complimentary flavor and crunch to green olives. These appetizers are tasty when served warm, at room temperature, or cold right from the fridge! Delicious served with Ranch Dressing or Zesty Ranch for dipping! This Panko Chicken Nuggets recipe offers a pleasant change from traditional chicken nuggets. Rather than using solid pieces of chicken, this recipe combines small shredded pieces of chicken with other ingredients, giving them added flavor and a wonderful texture. The ingredients are formed (much like meatballs) into bite-size oblong shapes, dipped in egg, then coated with panko bread crumbs, giving them a crispy outer crust. Parmesan Broccoli Balls are fun vegetable appetizers with fantastic taste, and are loved by all ages. They have a slightly crispy outer shell, and are chewy and cheesy on the inside, with the added subtle flavor of broccoli and a wonderful blend of other ingredients. Parmesan Broccoli Balls are are made with a simple combination of chopped broccoli flowerets, prepared stuffing mix, Parmesan cheese, onions and egg. Parmesan Cheese Sticks appeal to all ages and make a perfect finger food snack for kids' birthday parties or any other type of kids' event. These fun and simple cheese appetizers are similar to mini breadsticks, featuring a soft dough that is filled with grated parmesan cheese. The dough is rolled out and cut into small strips, then the strips are twisted once or twice and baked until fluffy, lightly crisp and golden. This recipe makes plenty! These fluffy Pepperoni Cheese Twists (also often referred to as pizza breadsticks or Italian breadsticks) are seasoned with garlic and stuffed with diced pepperoni, mozzarella and Parmesan cheese The dough is made from scratch (very easy! ), and each piece is twisted and coated with melted butter and more Parmesan cheese. This tasty breadstick recipe is easy to make and cooks in only about 10 minutes. 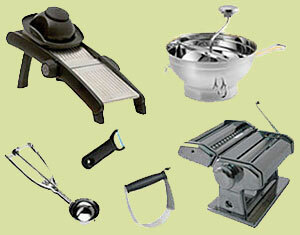 The right kitchen equipment can make a huge difference and make preparing food much quicker, easier and more enjoyable! User assumes full responsibility for the use of any content in EndlessAppetizers.com. © Copyright 2012 EndlessAppetizers.com. All rights reserved.